View More In Test Kits & Thermometers. 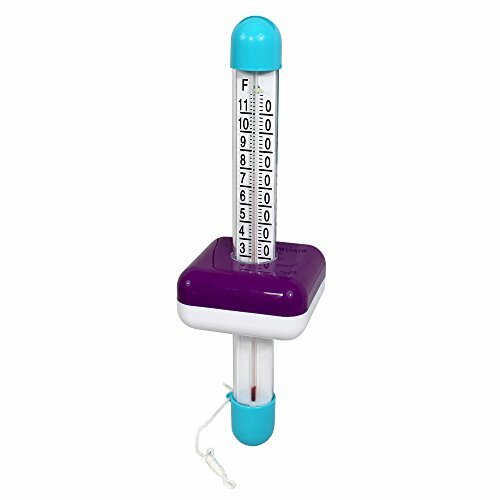 The jumbo float thermometer is a jumbo size which makes it easy to read even without taking it out of the water. A Nylon cord comes with it for fastening the thermometer to the pools edge, it also floats on the pool surface. Measures in Fahrenheit. If you have any questions about this product by Kokido, contact us by completing and submitting the form below. If you are looking for a specif part number, please include it with your message. 3x Watersafe WS-207 Lead in Home Tap Drinking Water Test Kit, Single Use per package. © 2019 - halogrowbox.com. All Rights Reserved.